This substantial full body umbrella is incredibly strong. Overall length is 102 cm and the canopy is a generous 104 cm across. Weight 700 g approx with a variety of colours. 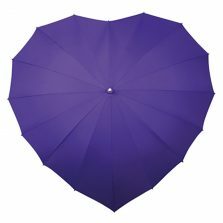 Looking for a quality and affordable purple, plastic umbrella? 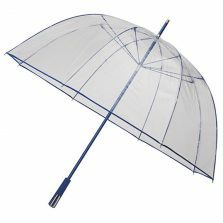 Look no more, we have a variety of see through umbrellas exclusive to Umbrella Heaven! The See-Through Deluxe range are exceptionally high quality dome umbrellas and firm favourites with the angels up here in Umbrella Heaven. The simple, functional design is wonderfully different to the others you’ll see on the High Street. We love to come up with stylish umbrellas which demonstrate subtle design elements, giving you the opportunity to own innovative, high quality umbrellas. 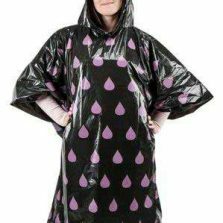 This purple plastic umbrella really is a quality and cost effective umbrella! This See-Through Deluxe Purple, full body umbrella features a sturdy, metallic purple, 14 mm diameter, aluminium shaft combined with purple fibreglass ribs which match the purple hem, metallic purple top ferrule and polished chrome trimmed, purple handle. 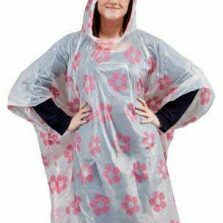 We stock a lot of colour coordinated umbrellas up here but when it comes to the See-Through Deluxe you have to see them for yourself to really appreciate the look and feel. I’m afraid our photos simply don’t do them justice. With a clear umbrella… you can keep dry and simultaneously see where you’re going. Brilliant! A clear, plastic umbrella will always match your outfit. It’s simple and it works quite well with several colours. A PVC canopy also allows two-way operation. It’s true! You can see out and ordinary people can see you, without the need for any expensive X-ray equipment. Truly PVC is a technological marvel. So your next step is to press the “add to basket” button and join the see-through umbrella revolution. This perfect plastic umbrella wont let you down! N.B. You might find that your new see through umbrella looks dusty when you receive it. This is normal – it does not constitute a fault. To avoid the material sticking to itself during transport, some clear umbrellas are dusted with a very fine talcum powder. 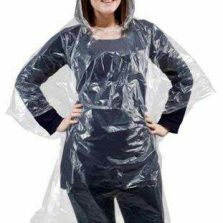 This coating will simply wipe off with a damp cloth, leaving your umbrella clean, clear and ready for use. Even with the powder we recommend you are careful when opening your umbrella for the first time, ensuring the canopy material has not become stuck to itself. Not the right see through / clear umbrella for you? Check out the rest of our range of see through clear dome umbrellas!